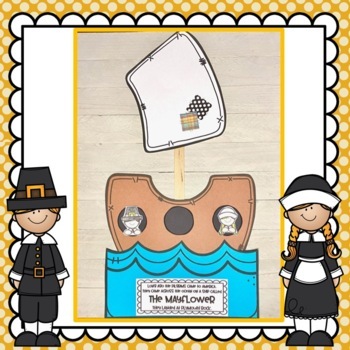 This Mayflower ship is a very simple craft for your students to make during their study of the First Thanksgiving and Pilgrim life. 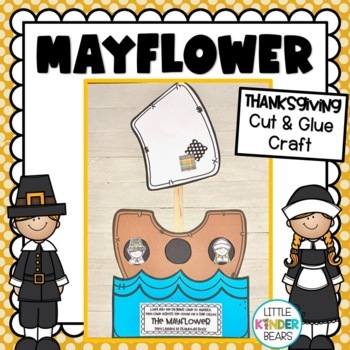 This craft has very few pieces, but looks amazing on your bulletin boards, hallway or in your school cafeteria for Thanksgiving dinner. All pieces are included with this craft. The details around the edge of this craft are included on the patterns as well. Also included are pictures of the craft. Bonus: Class book: "If I Sailed on the Mayflower..." Cover page and student book pages are included with this book. Copy the book cover in color and laminate. Have each student complete a book page and bind each one into a book.